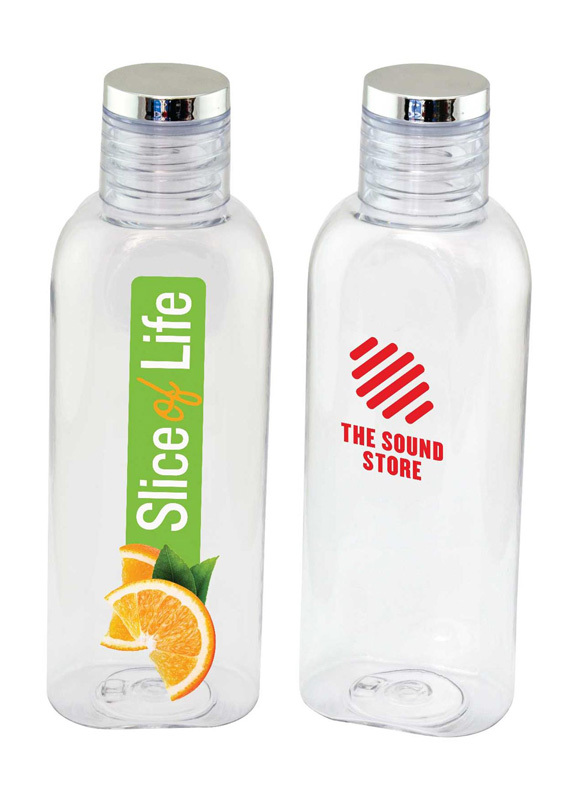 This stylish shaped drink bottle with flat sides is made from quality BPA Free super-tough Tritan. Designed with a concave back and flat front to enhance both its visual appeal as well as provide a comfortable grip. Available in clear with silver trim on the lid.